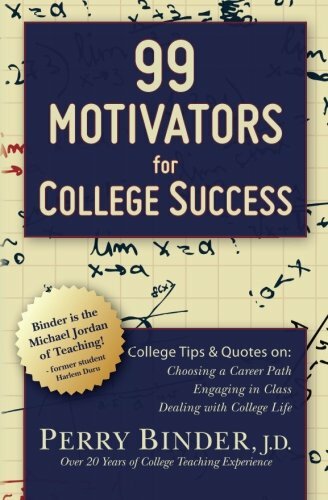 "Great College Prep Read - Perry Binder's 99 Motivators for College Success is a fantastic read for anyone in college. It makes a particularly great gift for high school seniors preparing to start their first year of college or even just considering it. The book is easy to read and humorous, while providing incredibly accurate and valuable advice for how to make the most of attending college."